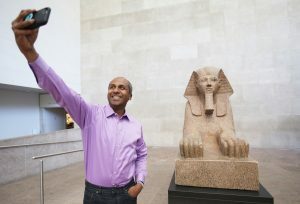 When former news reporter and professor Sree Sreenivasan lost his job as the chief digital officer at the Metropolitan Museum of Art, he took advantage of a tool he knows very well: social media. To his surprise, the post received an overwhelming response. Over 1,000 people responded, prompting Sreenivasan to embark on a very public job search with its own hashtag, #sree3oh. 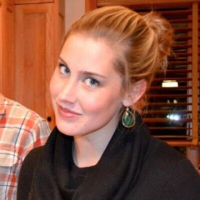 He was hired by Mayor Bill DeBlasio as the city’s third chief digital officer on Aug. 1. In a recent Making Sen$e report, NewsHour special correspondent Roben Farzad traveled to New York City to meet with Sree Sreenivasan and see what job seekers could learn from him. At 3 p.m. on Friday, Aug. 19, Sree (@sree) will join PBS NewsHour for a Twitter chat to talk more about networking and how going public on social media about looking for work can land you on your feet after a job loss. Have questions for Sree? Send them now via the hashtag #NewsHourChats.